From choosing paper and brushes to painting techniques, composition, and development, Landscapes in Acrylic is bursting with valuable skills and lessons to help beginning artists master painting in acrylic. 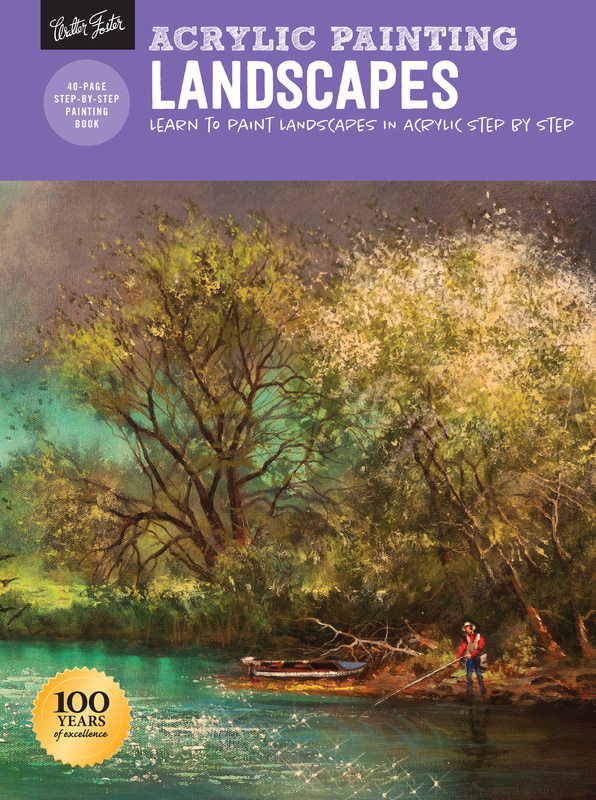 With comprehensive instruction and artist tips and tricks, Landscapes is the perfect resource for beginning acrylic artists. Landscapes in Acrylic teaches aspiring artists everything they need to know to get started painting beautiful landscapes in acrylic. From choosing paper and brushes to painting techniques, composition, and development, Landscapes in Acrylic is bursting with valuable skills and lessons to help beginning artists master this approachable medium. Talented artist Tom Shropshire guides readers through an exploration of painting classic landscapes in acrylic, covering basic painting concepts and techniques, including rendering realistic textures. Building on these basic techniques, artists can practice their craft with step-by-step projects that cover a variety of landscapes, including a waterfall, a spring storm, and a classic winter scene. With comprehensive instruction and artist tips and tricks, Landscapes in Acrylic is the perfect resource for beginning acrylic artists.